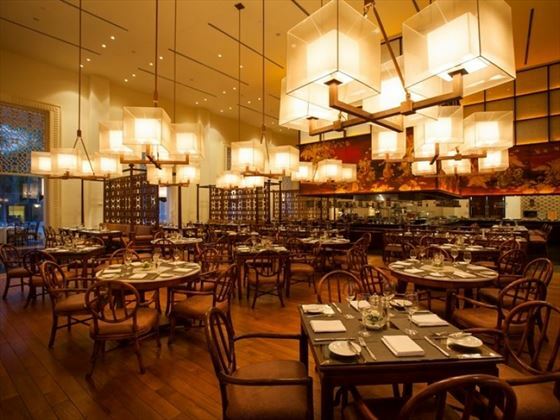 Asian decorative notes are found in the style of the 222 refurbished rooms and the cities’ French colonial past is celebrated in the restaurants. Drink coffee in Le Petit Café, styled as a French street café or drink cocktails in the stylish Le Bar. 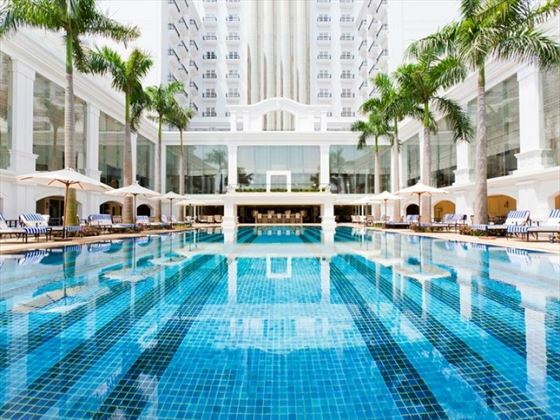 There is a large outdoor pool with daybeds and an adjoining pool bar, perfect for some relaxation after a morning of exciting sightseeing in the city; alternatively head to the spa to relax in the Jacuzzi and sauna and enjoy a treatment from the comprehensive spa menu. Fine dining is available all day at La Brasserie with an a la carte international menu and an open kitchen. 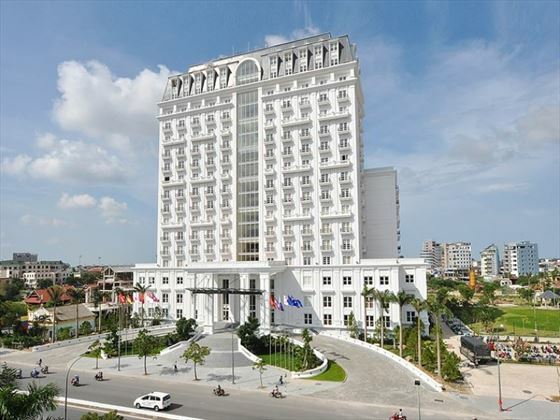 The hotel is a 20-minute drive from Phu Bai International Airport in downtown Hue with most of the city’s key sights within walking distance, and the Perfume River approximately 15 minutes’ walk away. 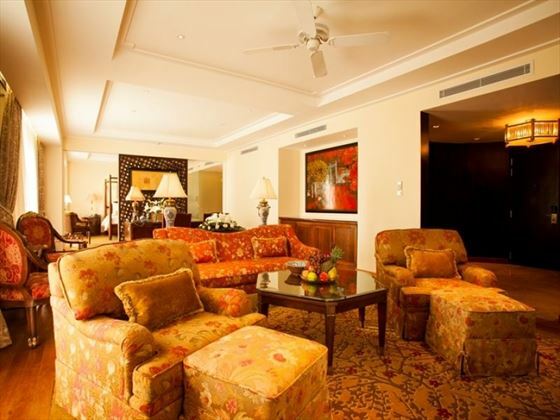 The rooms are categorised by the floor they are on and therefore the views over the city. 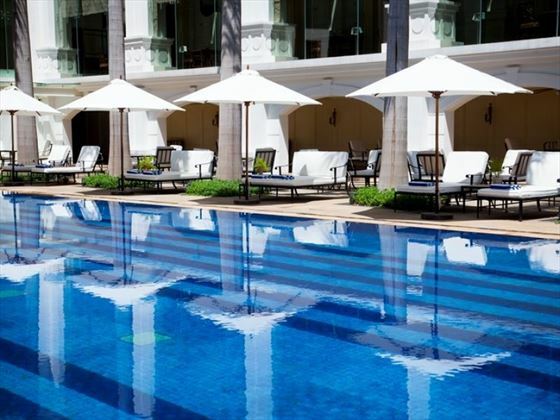 Palace Rooms are on floors 4-9 and can have either a King Bed or Twin beds sleeping up to 2 adults and 1 child. 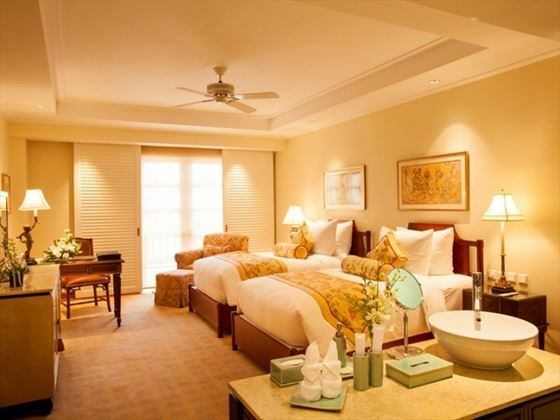 Larger Studio Palace King rooms have an additional seating area and can sleep up to 2 adults and 2 children. Indochine Club Suites are on floors 10 to 16 with a dedicated check-in and lounge area with a library; 1 and 2 bedroom suites are available. 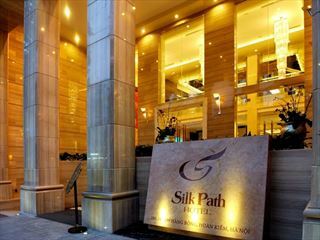 Within walking distance of Hanoi's most treasured and revered attractions, Silk Path Hanoi is a charming city hotel that's enveloped by Vietnam's rich heritage and bustling atmosphere - a great base for city escapes filled with authentic culture. 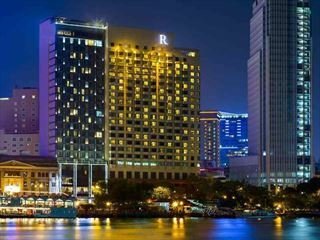 Overlooking Saigon River, this stylish resort sits at the centre of Ho Chi Minh City making it the perfect base for exploring Vietnam's largest city. 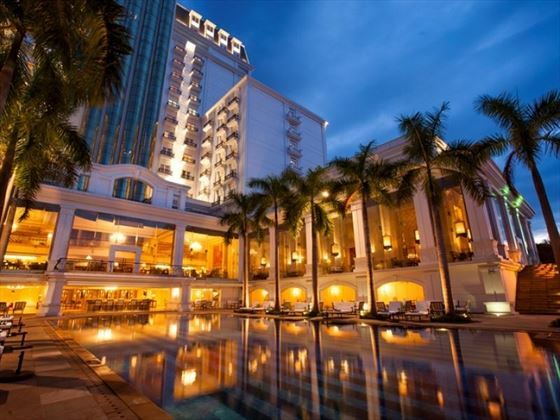 Take advantage of great sightseeing nearby including the great parks, restaurants and bars at the centre of town. 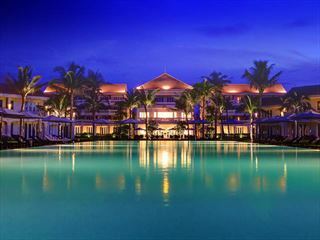 Soak up the rich heritage and authentic culture of Vietnam with a stay at the charming Boutique Hoi An resort, immersed in beautiful tropical gardens and looking out to stunning sea views - perfect for a relaxing escape.